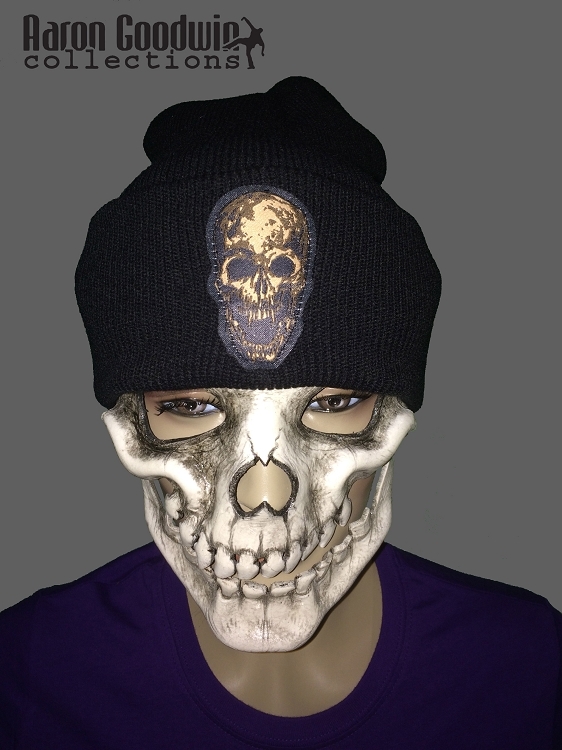 Skull Head Beanie Hat! it is Unisex and one-size-fits all! 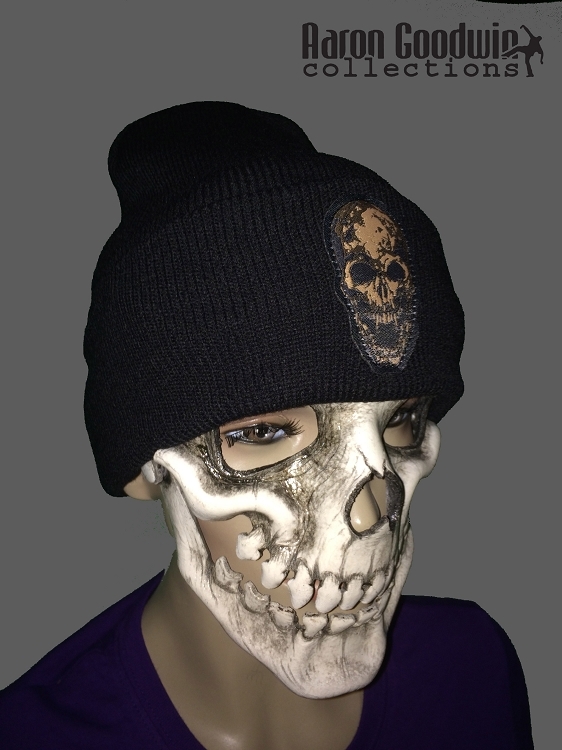 black hat with skull head patch logo sewn on. its a soft cotton winter hat that you can flip up or down. (logo only shows when flipped up) get one this winter while you can!